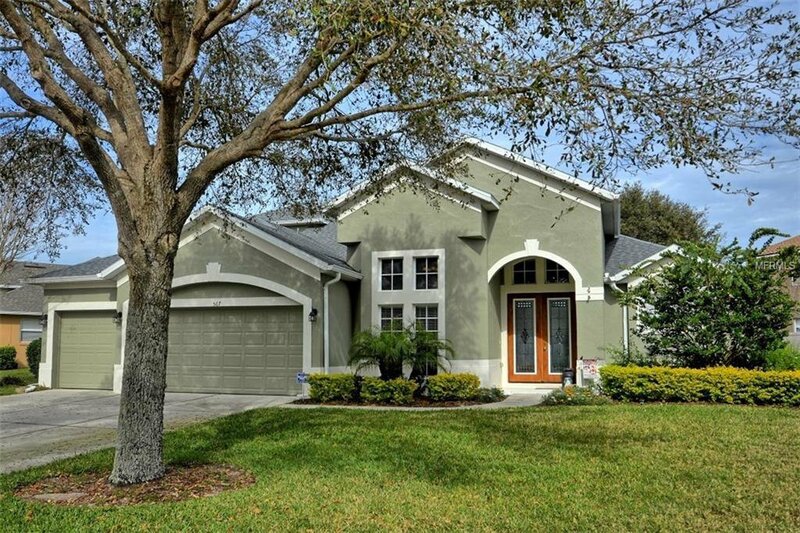 Stunning Waterfront home in the Gated community of Saxon Woods. Five bedrooms, 4 full baths, office and an additional bonus room, boasting 3518 sq ft of living area, this home features Three different living areas with a separate bedroom/bath and bonus room area upstairs. The family room is open to the kitchen and breakfast nook with a beautiful waterfront view. The new front doors open to the foyer and the large formal living and dining rooms. Around the corner is the office that could function as a 6th bedroom if needed. The kitchen features stainless steel appliances, 42" cherry cabinets, custom back splash, under counter lighting and Corian counter tops. The first floor Master retreat includes tray ceiling, sitting area, walk in closet and a spectacular bathroom with a jetted spa tub, separate shower, dual vanities and private water closet. Additional bonus features include a whole house generator, new gas instant hot water heater, new pool heater, new pool pump, new A/C's, new roof and gutters, new solar panels, remodeled laundry room, new wood look tile in the first floor main rooms, security system with cameras and freshly painted inside and out! Situated on one of the largest lots in Saxon Woods and the best location in Central Florida between Orlando and the beaches! Listing courtesy of KELLER WILLIAMS HERITAGE REALTY. Selling Office: WATSON REALTY CORP.